For my flight to San Jose over the weekend, I brought along Dessert by Williams-Sonoma to get ideas for Thanksgiving dinner. 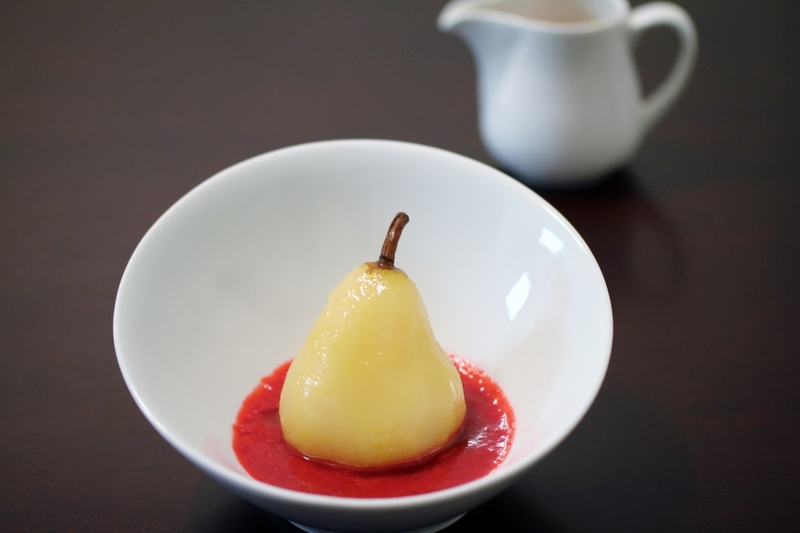 As I flipped through the book, I saw an interesting recipe for poached pears with raspberry coulis. 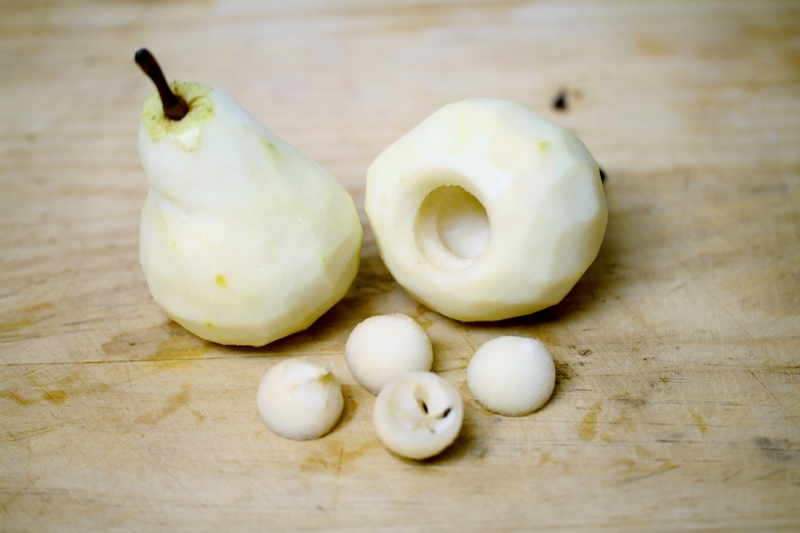 Personally, I am not a huge fan of pears, let alone cooked pears. The picture was so enticing that I decided to give it a try. It was definitely a different type of dessert. Peel the pears and generously rub with the lemon half to prevent discoloring. Core the pears from the bottom using a melon scooper, leaving the stem intact. In a deep sauce pan, combine the white wine, orange juice, water, sugar, lemon zests, orange zests, and clove and bring to a boil. 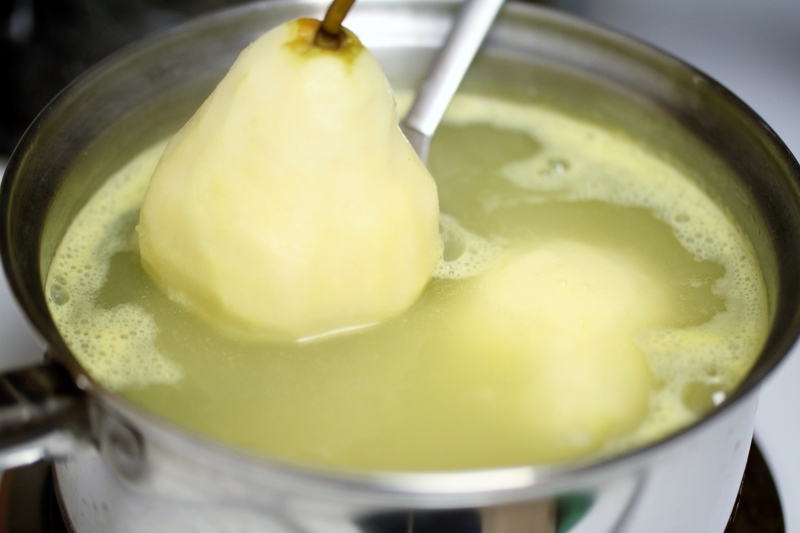 Reduce to low heat and add the peeled pears, cover and simmer for 20-30 minutes or until the pears are tender but not falling apart. 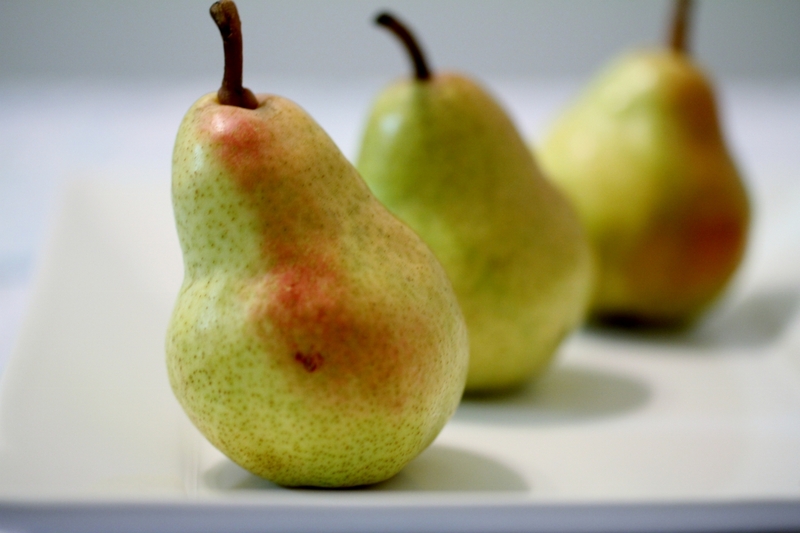 Remove the pears and place in the refrigerator. Heat the saucepan to high heat and reduce the syrup to approximately 1 cup of liquid, approximately 20 to 25 minutes. For the raspberry coulis, combine the raspberries, powdered sugar, and lemon juice in a food processor and pulse until the berries are pureed. 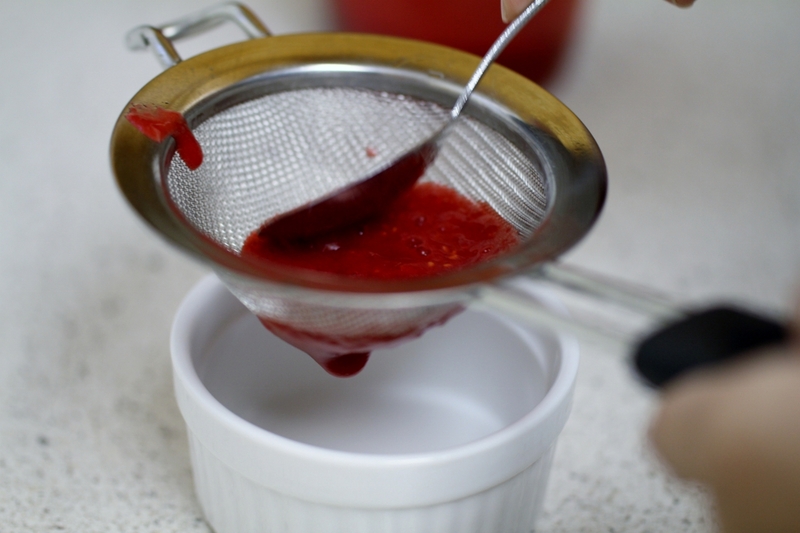 Pass the puree through a fine mesh sieve to extract all the juice. 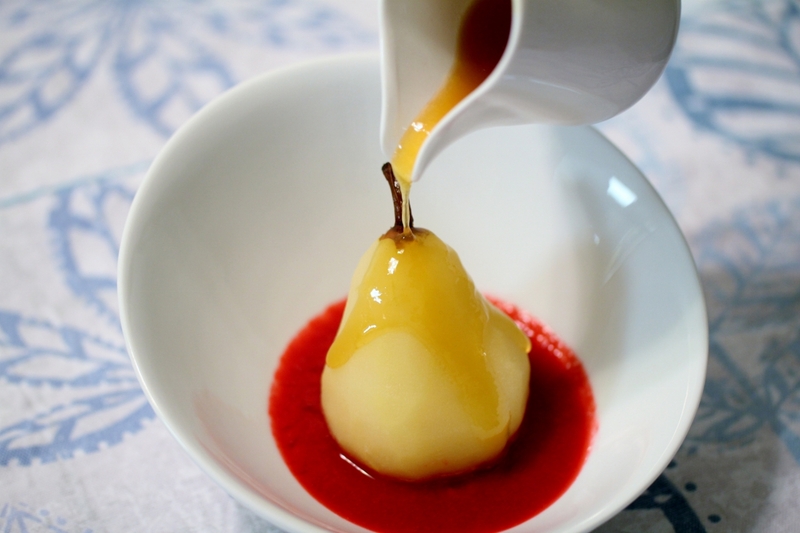 Serve the pears slightly chilled in a pool of raspberry coulis and drizzled with a little syrup.